The holidays are coming upon us quickly. This usually means despair, gloom, a loss of money, and nothing to eat because you're too tired to cook. Despair not, my friends! Today's recipe, brought to you by Newman's Own and Foodbuzz Tastemaker, is a simple dish to prepare that tastes like you've been slaving away all day. Newman's Own Pizza Baked Pasta combines the goodness of pizza, like tomato sauce, cheese, and pepperoni with the ingredients of lasagna, like that creamy, cheesy layer made with pureed cottage cheese, eggs, and Italian cheese. You don't have to worry about any layering since it's all stirred together. It's also quick to assemble. Just stop at the grocery store, pick up a jar of Newman's Own pasta sauce, pepperoni, and fresh mozzarella balls and you're halfway there. 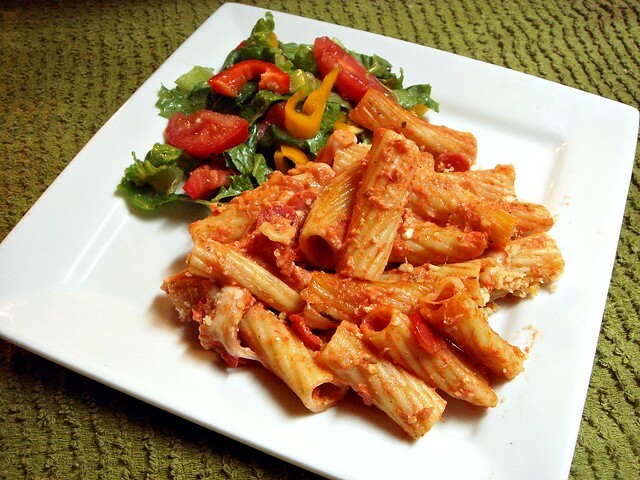 For this recipe, I used Newman's Own Cabernet Marinara sauce. The flavor of the wine heightens the taste, and lends complexity to an otherwise standard dish. The fresh mozzarella perline, tiny balls of fresh mozzarella, boost the cheesiness of the sauce. Pepperoni is everyone's favorite, and it's a standard ingredient when I make pizza baked pasta. You can really add anything you want to the mix, like spinach, mushrooms, Italian sausage, olives, etc. Another helpful tip is that it can be prepped ahead of time, stored in the fridge directly in the baking dish. Make sure your baking dish can be transferred straight from cold to hot, otherwise place the baking dish in the oven as it comes up to the correct temperature. Foodbuzz supplied me with Newman's Own products and a FlipCam to create a recipe video. In the video, I summarize the recipe directions. 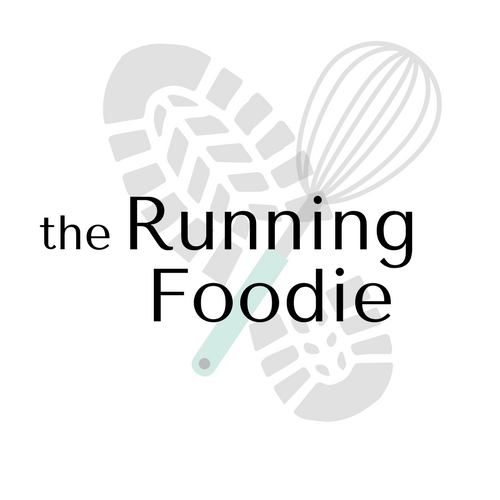 Take a look at the kitchen of the Running Foodie, then go out and make some pasta! 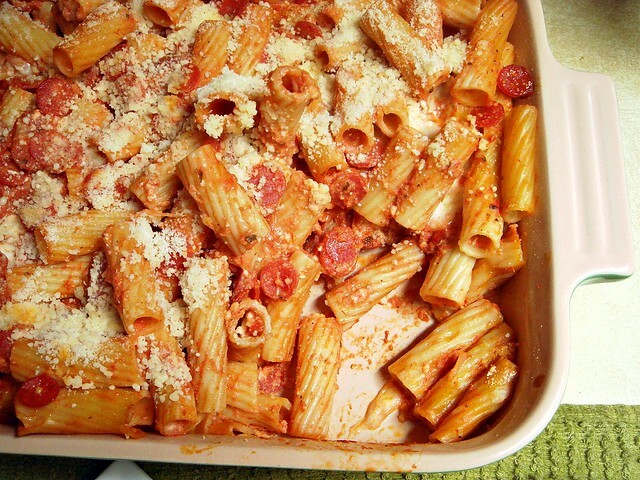 A delicious baked pasta recipe using Newman's Own Cabernet Marinara Sauce. Preheat oven to 350 °. Spray a 12x9 inch baking dish with cooking spray. Cook pasta in boiling, salted water for 5 minutes; drain. While the pasta cooks, whisk the cottage cheese, eggs, Italian blend cheese, and pepper together in a large bowl. Stir in Newman's Own Cabernet Marinara Sauce. Add the drained pasta to the bowl and stir to combine with sauce. Gently mix in the fresh mozzarella balls and mini pepperoni. Transfer mixture to the prepared baking dish. Cover with foil and bake for 20 minutes. After 20 minutes, remove foil and sprinkle with parmesan cheese. Replace foil and continue cooking for another 20-25 minutes. Remove from oven and let rest for 5 minutes before serving. Enjoy! Foxy, so, are you making it?